The other night, I was reminded again of the importance of decent wine glasses. The wine was ordinary and one I knew well, but the large glass made all the difference. The wine tasted better than usual. If you haven’t already got some, invest in glasses that are large and tulip-shaped. The rim needs to be narrow to concentrate the aroma, but wide enough to get your snout inside. Because you’ll need to swirl the wine around, a large glass enables you to accomplish this without spilling the contents all over the table. The budget priced Madison red wine glasses are ideal with a capacity of 425ml (9 ozs). Using these large glasses about a third full, you’ll find that the aromas are more pronounced and you’ll notice how the aromas and tastes develop in the glass. Of course, if money is no object, consider the superb glasses from Zalto, Spiegelau or Riedel, but I manage with something rather more modest. You might be surprised to know that today almost 40% of German wine is red. 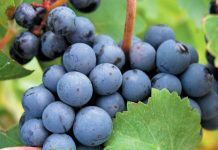 Germany has become the rising star for Pinot Noir, known there as Spätburgunder. Forget those bland commercial wines that were popular in the 1960s and 1970s because Germany makes some of the finest wines you can get. The only set-back is that German wines are difficult to find in Thailand. That is, until Wine Garage came on the scene. If you are becoming a bit jaded with the usual selections in the supermarket, you’ll be pleased to know that Wine Garage was founded to promote artisanal boutique wines. They have a fascinating selection of wines, including some Rhône reds rarely seen in these parts. There are also some interesting wines from Germany and even some from Austria as you’ll see from their website (https://winegarage.asia/). Of course, you can order online and you can pay by bank transfer or PayPal, which makes things ever so easy. They’ll deliver anywhere in Thailand. The River Nahe joins the Rhine at the town of Bingen. The river flows from the south west, more-or-less parallel with the Mosel which is further to the north. In the Nahe region, 75% of the vineyards are planted with white Grapes dominated by Riesling which covers 28% of the surface. In recent years, Riesling (REEZ-ling) wines from the Nahe been rated highly by international wine critics. The Schlossgut Diel vineyards and medieval castle were bought by the Diel family in 1802 and today the winery is owned by wine writer Armin Diel, one of Germany’s most acclaimed Riesling producers. His daughter Caroline, a graduate of Geisenheim University became partner in the winery in 2007. 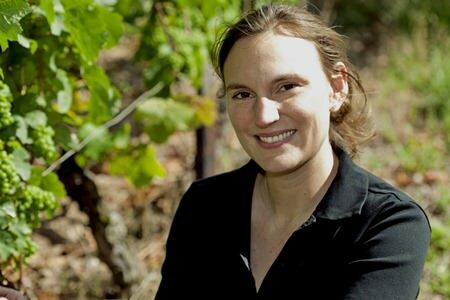 She oversees the vineyard work and winemaking together with cellar-master Christoph Friedrich. With nearly sixty acres, Schlossgut Diel is one of the largest landowners of the region and produces powerful wines which still maintain elegance and finesse. This superb wine is a pale straw colour with a perfumed aroma of green apples, grapefruit and a distinct reminder of orange peel. The fresh aroma is quite complex and I could easily spend the evening with my nose in the glass. But I was almost certainly a dog in a previous life, so this is not surprising. The taste is stunning – like a flash of bright stainless steel across the palate with a dash of grapefruit and citrus. The flavours are as complex and as beguiling as the aroma, with hints of lime, peach and grapefruit against a mineral background. Although it’s only 12.5% alcohol content, there’s a real smack of assertive acidity on the palate, bringing the flavours into sharp focus. The aroma develops well in the glass and after a time the profile changes and becomes softer. So does the taste, because the acidity seems to soften and lets more fruit come through. The wine is beautifully balanced, with a long clean and satisfying finish, but as the word trocken indicates, it’s dry as a bone. As to food, I’d really prefer to enjoy this wine without distraction. 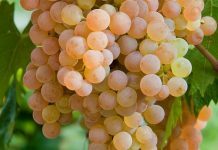 Nevertheless, Riesling is a food wine par excellence and a dry one like this works brilliantly with fried or baked fish, seafood dishes and chicken or pork dishes in cream or butter sauces. From the other side of the world and the opposite end of the spectrum to the Riesling this wine was made by Larry Cherubino who produced his first wine in 2005 after many years of experience in the Australian wine business. 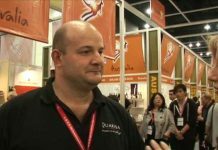 His company has had phenomenal success with its range of award-winning wines. This Cabernet-Merlot blend is from the Margaret River and it’s a very dark purple-crimson colour with long syrupy-looking legs. The symphonic aroma has intense black cherry, plum and blackberry with sweet background aromas and reminders of moist tobacco and dark chocolate. The authoritative taste has black fruit, a tang of acidity and rounded oaky tannins. This opulent wine is perfectly dry with a long and satisfying finish. I thought I could pick up a faint leafy, minty note on the finish too. It’s really splendid: rich, firm and superbly balanced. But then after a time, perhaps after about twenty minutes, I noticed a subtle change in the aroma and the taste. It was as though the Cabernet Sauvignon (which accounts for 80% of the blend) started to give way to let the herby, black-olive and redcurrant aromas of the Merlot come through. At the same time, the mouth-feel started to soften and the tannins seemed to melt into the background. Mind you, this will only be noticeable if you have a large wine glass. This is a big confident wine and at 14% alcohol content it’s a food wine too. You won’t go far wrong if you drink it with the best beef steak you can afford. Unless of course, you’ve spent all your money on new wine glasses.